515.66 acres in 2 adjoining properties, 7 Tax map parcels: 7903-12-0658; 7903-22-4502; 7903-24-5454; 6993-52-2616; 6993-52-3737; 6993-73-3922; 6993-92-3603. 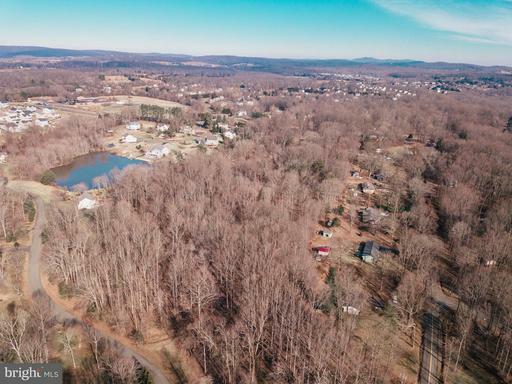 NO EASEMENTS, SUBDIVISION POTENTIAL 2 miles from Town of Warrenton. Shop/equipment buildings in excellent condition. Elec well water on site. 2 houses sold "as is"
Unique Amazing!! Attention Developers! 18+ acres zoned R1 with a proposed SD plan ready for your review. 12+ possible lots PLUS residue of 3+ acres and mid-1900s ALL stone house! So many possibilities! 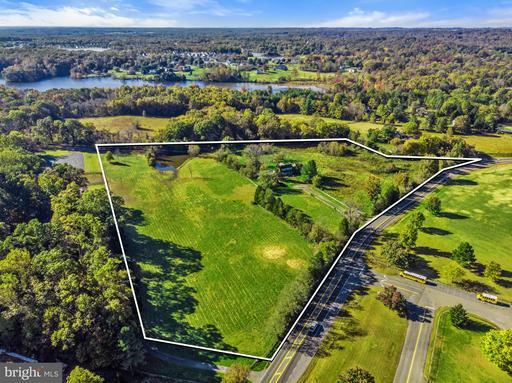 Subdivide the 15 acres and sell off the stone house or keep as an investment property or subdivide the entire 18 acres. Stone house built in late 1940s with beautiful hardwood floors throughout! 4BR 2.5 BA, den/library, LR, DR, garage and kitchen. Vintage details! Renovations to the Kitchen Baths would put this house over the top! HWH Furn 2008, A/C upstairs only 2004. Contact LA for more info. Unique Amazing!! Attention Developers! 18+ acres zoned R1 with a proposed SD plan ready for your review. 12+ possible lots PLUS residue of 3+ acres and mid-1900s ALL stone house! So many possibilities with this jewel! Subdivide the 15 acres and sell off the stone house or keep as an investment property or subdivide the entire 18 acres. 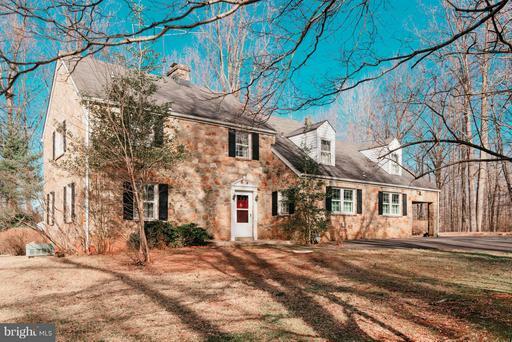 Stone house built in late 1940s with beautiful hardwood floors throughout! 4BR 2.5 BA, den/library, LR, DR, garage and kitchen. Vintage details! Renovations to the Kitchen Baths would put this house over the top! HWH Furn 2008, A/C upstairs only 2004. Contact LA for more info. 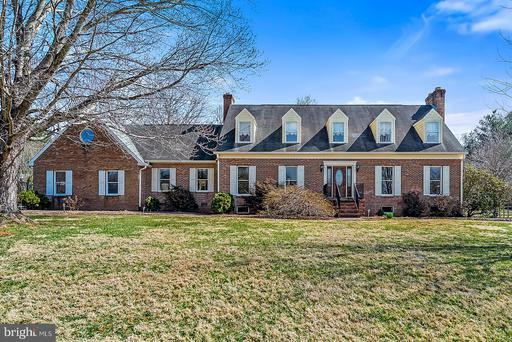 Peace, Love Joy Farms, long hard surfaced driveway leads to this special home built in 1985, 6 bedrooms, 5 1/2 baths, 5 fireplaces, high ceilings, large rooms with good flow, formal garden overlooks Cedar Run, large pond, pool w pool house, barn could have 4 stalls. 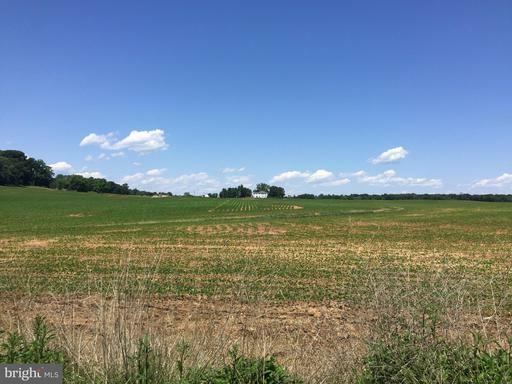 Rolling land, very private - yet very close to Warrenton. Listing Broker: Sheridan-Mac Mahon Ltd.
Two adjacent lots for sale with visibility on Rt-29. Approx. 70 foot frontage on Lee Hwy. Located just past New Baltimore on the way to Prince William County. 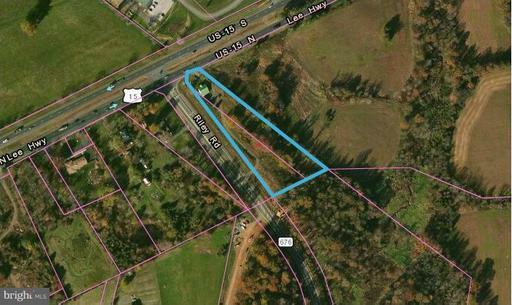 Zoned C-1 lots total 2.63 acres. Water to the site and 2 water taps included in sale. Sewer across the street. House and storage shed on site. Ideal for bank or medical. Solid farmhouse circa 1884, with 4 bedrooms and apartment. 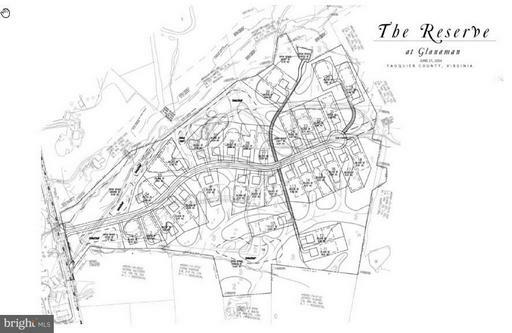 Property consists of 14 aces with Fauquier County subdivision approval for 12 lots. 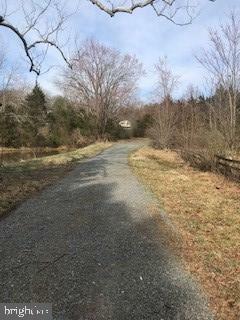 Combination of cleared and wooded acreage with pond, Comcast cable and great commuter location. Tremendous potential! Beautiful custom model home on over 3 acres on Lake Brittle. Gorgeous lake views, sunrises, sunsets. This home is currently used as Lakeside Homes model home. 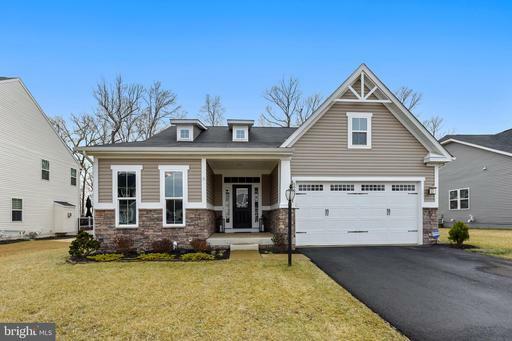 and has many upgrades including custom kitchen cabinets and granite, 5" hand scraped hardwoods, custom tile baths, stone fireplace, sun room, deck, basement bar, A must see! Spectacular rambler is one floor living at its best. Beautiful 1+ acre private wooded lot. Terrific great room with 11 ft. ceiling next to a cathedral ceiling sunroom - see thru gas fireplace with marble hearths. Fully finished lower level for in-laws. Lower Level has full kitchen, two bedrooms, gas fireplace, laundry, and bath. New roof and skylights. Huge storage area. Extra room under sunroom with outside access. Perfect for shop. Home has been meticulously maintained! 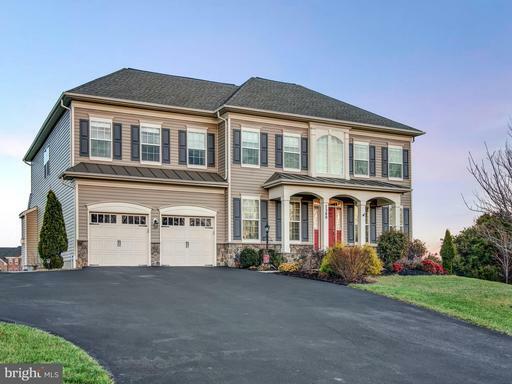 Imagine yourself coming home to this Coveted M/I Homes Westmoreland Model. This Craftsman Boasts a professionally designed custom landscape and hardscape. The inground sprinklers and lighting will ensure that you will have the best Landscape in the neighborhood. A Large front Patio to welcome guests with designer lights. Large stone steps from the driveway lead to the paver patio. The Patio offers a covered area w/a view of the private wooded lot. Above the patio is a Lanai w/ Speakers, Fans, and Composite Decking. A Three Car Side Load Garage has built in Storage and Epoxy Floors. From the Garage a Large mudroom with built-ins and bench to manage the whole family. The gourmet Kitchen has modern expresso cabinets, granite, stainless steel, glass backsplash, breakfast room, and opens to the Lanai and Family room. The Family Room has built in speakers and double sided fireplace. On the other side of the fireplace is a living room and office that have view of woods and open to the Lanai. Wood stairs Lead to the Hand scraped wood Hallway. Double doors open up to Large Master with Tray Ceilings. A Large Walk in Closet and Master bathroom with the HGTV Finishes you~ve been dreaming about. Upstairs four more generous sized bedrooms and a Laundry. The Basement is where the party is at with in wall speakers and a rough in for wet bar. A large full bathroom and In-law suite with sitting room. A gym or pool table room/wine room leads to covered patio. Dont miss out! This is truly an amazing home! EXCEPTIONAL Cantebury Model Colonial on Private Lot in PRISTINE Estate Neighborhood in Brookside Community * 3 Finished Levels with Hardwood Floors THROUGHOUT * Open Floorplan with Main Level Office, Family Room with Fieldstone Gas Fireplace * Gourmet Kitchen with Breakfast Room, Huge Island, GE Energy Smart Stainless Appliances, Butlers Pantry and Built-in Desk * Many WELL-APPOINTED Features Like Detailed Trim, Fans, Arched Doors Windows, Alarm, Irrigation, Window Treatments * LUXURIOUS Master Suite with 2 Walk-in Closets, Wet Bar, Mini Fridge and Sumptuous Master Bath * Walk-Out Lower Level with 5th Bedroom Full Bath * HUGE Composite Deck Patio with Pergola * BEAUTIFUL Landscape * Charming, Oversized Shed * MUST See! 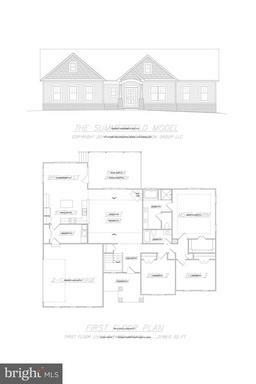 To Be Built 3200 Sq Ft 4/5 Bedroom 2.5 Bath Colonial. Standard finishes include; Granite, Stainless Steel Appliances, 9 Ceilings, 42" Cabinets, Ceramic Tile, Hardwood.1600 Sq Ft of unfinished space and a rough-in for a 3rd full bath in the basement plus a two car garage. Buyers choice of interior and exterior finishes. 6 month delivery from a ratified contract. Lot also for sale FQ10178820. 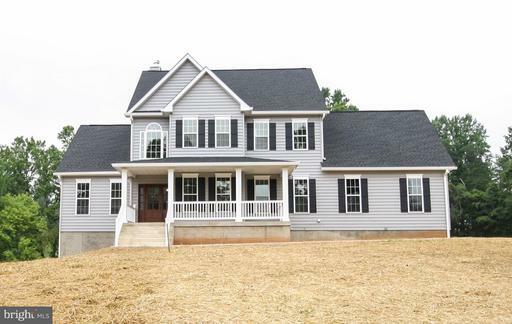 TO BE BUILT 3200 SQ FT 4/5 BED 2.5 BATH COLONIAL ON THE DC SIDE OF WARRENTON. 5.6 ACRES LOT DIVISION POTENTIAL. STANDARD FINISHES: GRANITE, SS APPLIANCES, 9 CEILINGS, 42" CABINETS, TILE, HARDWOOD. 1600 SQ FT OF UNFINISHED SPACE AND A R/I FOR A 3RD FULL BATH IN THE BASEMENT + A 2 CAR GARAGE. BUYERS CHOICE OF INTERIOR AND EXTERIOR FINISHES. 6 MONTH ESTIMATED DELIVERY-Lot also for sale FQ9596310. 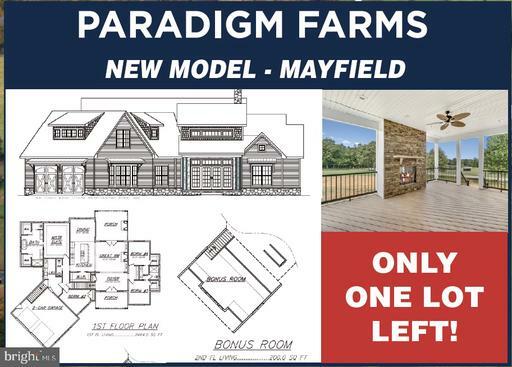 ATKINS HOMES PRESENTS THE NEW MAYFIELD MODEL! THIS 4 BD-2.5 BA HOME HAS A VERY OPEN SPACIOUS FEEL. WE BRING THE OUTSIDE IN WITH DUAL PATIO DOORS TO THE COVERED DECK WITH FIREPLACE. THE MASTER BEDROOM SUITE COMES WITH 2 WALK-IN CLOSETS AND A WALK IN SHOWER. Click on the LISTING AGENT to the right for a private showing of this very special home and rare find! More Photos Coming Soon. 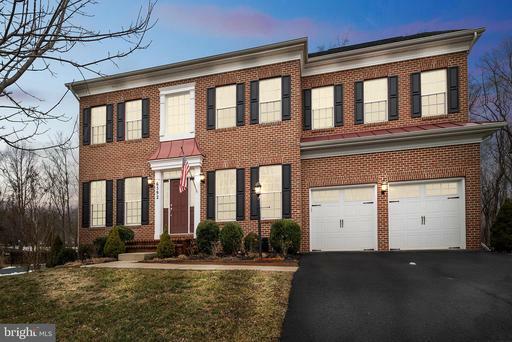 This custom built, nearly full brick residence is tucked away in an exclusive enclave of eight homes in a NON-HOA, lake view community superbly located on the D.C. side of Warrenton. Located on quiet cul-de-sac and privately nestled among mature oak, magnolia, walnut and dogwood trees. There are so many unique appointments with countless attention to details, like main living level designed with a unique blend of OPEN-TRADITIONAL flow with real hardwood flooring and expertly detailed real wood moldings. Family room overlooks and extends to outdoor patio and gardens. The fully fenced and totally private backyard patio boasts a weathered brick terrace, complete with fish pond surrounded by boxwood hedges and stacked stone planting areas. All situated against a backdrop of mature hardwoods and evergreens for cool, shaded summer entertainment and complete year-round privacy. Enjoy your favorite beverage and book on the screened porch. Attached to the family room, and adjacent to the terrace, it provides a perfect retreat to relax and enjoy the sound of running water in the pond. Plus, its location and flow are awesome for the indoor-outdoor entertaining of family and friends. Oversized, updated cooking kitchen for those who love to cook and entertain. Complete with quality built cabinetry, bar seating, sizable breakfast area, and adjacent walk-in food pantry. Your choice of Laundry Rooms; Kitchen level, Bedroom level or both. Yes, TWO SEPARATE home offices ~ extremely rare. Lower level office, positioned away from the daily flow, was built and designed with sound management qualities and offers a peaceful environment for focused work and client calls in a quiet and professional environment. The main level office has ample custom built-in bookcases and a door that opens to the screened porch with outdoor access. This room could also be used as a library. FIRST MASTER SUITE has two, LARGE, walk-in closets, each having built-in organizers, adjoined by an en-suite bath with jetted tub, separate shower, and double vanities. SECOND MASTER SUITE with en-suite bath and huge walk-in closet with built-in organizers. Currently used as a Princess Suite. Professionally landscaped with an abundance of natural stone walls and planting beds. Elegant entrance with custom brick terrace and walkway illuminated by dusk to dawn in-wall lighting. Fenced, all organic Back to Eden garden includes raised beds with underground watering. 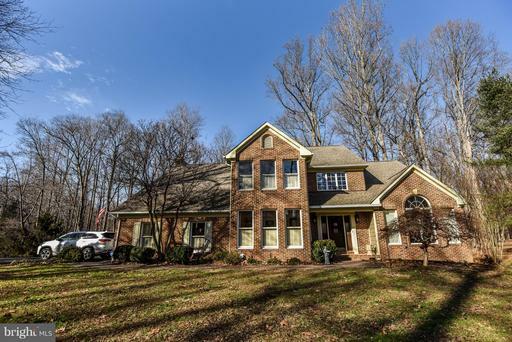 Highly acclaimed and desirable school districts including Kettle Run High School. Storage building / Potting Shed / Workshop with electric, workbench and built-in shelving. In addition to the main and upper levels, there is a 1,700 square foot lower level currently being used as a professional photography studio. All rooms are generously oversized and there~s SO MUCH closet space throughout. Such a friendly and tranquil community. It feels like a million miles away from the chaos, yet you~re only minutes away from the major highways, shopping and awesome schools. Living by the lake makes coming home so peaceful. The elegant, yet functionally casual floorplan makes this home perfect for daily living and great for entertaining. You~ll love the brick terraced patio and the backyard for entertaining; so relaxing and private! Enjoy the privacy of having a rear entry garage plus the large paved area for parking or safe play. Plus, the triple kitchen windows overlook the rear parking/play area. Shown EXCLUSIVELY through Owner/Agent, by APPOINTMENT ONLY. Click the button next to the Top Agent LISTING AGENT on the right side of this screen for more information or to schedule your private home tour. Then, fill out the GET MORE INFO box at the top. We~ll get right back to you! ANOTHER FINE ATKINS HOMES SUMMERFIELD MODEL with screened in rear deck and stone gas fireplace, Trex and vinyl rails with stairs, upgraded kitchen with over sized island, granite counter tops, glass tile back splash, 42 in cabinets with unlighted top glass panel cabinet, farm sink, counter depth refrigerator, double oven, 5 burner gas cooktop, pull out cabinets and inserts. so much more! Motivated seller! Magnificent Residence in park-like setting. Designed for entertaining on a grand scale. Gourmet Kitchen w/ high end finishes features granite countertops, stainless steel appliances, island with bar-style seating, and eat-in area . Family room with high ceiling, huge windows and stone face wood fireplace. The open concept kitchen and family room are ideal blend of spaces that offer tremendous light and stunning views of the back yard. Large outdoor patios and upper level Trex deck . Walk-out LL has Rec Rm w/ Wet Bar, 2nd Kitchen, BR Bath and exercise area. Expansive backyard! Price below tax assessed value. 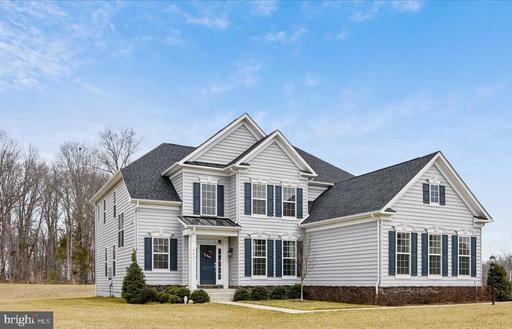 To Be Built Colonial offers first floor master suite, large gourmet kitchen breakfast area, dining room, 2 bedrooms upstairs bonus room - could be 4th bedroom. Finishes include: hardwood floors, ceramic tile, granite counters, SS appliances. Full unfinished basement with a rough in for a 3rd full bath + a 2 car garage. Approx. 6 mo. delivery from ratified contract. Lot also for sale FQ9596310. Stunning single-family home with 6 bedrooms, 5.5 bathrooms and a fully finished basement in the highly sought-after Brookside community. This immaculate home offers a gourmet style kitchen, granite countertops, breakfast bar, stainless steel appliances, breakfast sun room off the kitchen with a coffered ceiling. This home includes a cozy fireplace in the living room with a built-in entertainment center. The living room also offers access to the large outdoor stone patio. Moving into the formal dining room, it includes crown molding, chair rail and shadow boxes. The main level office and craft or exercise room are spacious. The large master bedroom includes huge separate walk-in closets, separate tub and shower with double vanities and upgraded tile. The bedrooms are spaciously designed with large closets. The fully finished basement offers a great movie-theatre area with bar seating, large entertainment room, bedroom/bonus room with beautiful bathroom for guests. This home is great for entertaining guests with a large patio with seating area and backing to trees for privacy. The storage shed has electricity for a workshop. There is an in-ground sprinkler system installed to keep the lawn beautiful. Oversized two car garage. 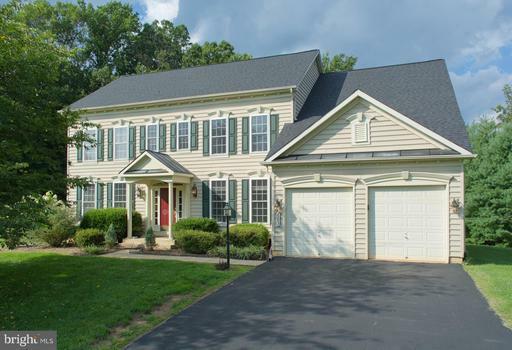 Location is great for commuters with easy access to Route 29 and Interstate 66. This amenity rich community includes a lake, outdoor pool, basketball courts, jog/walking path, tennis courts, tot lots/playground, and clubhouse. 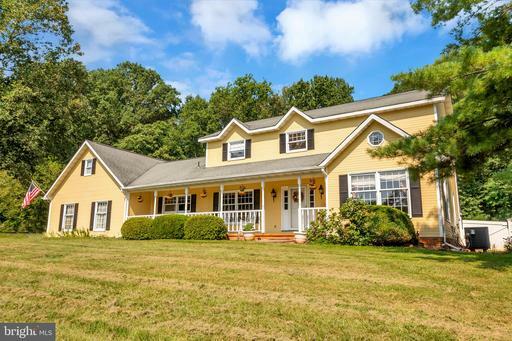 Beautiful 5BR, 3.5BA colonial situated on 2 acres just minutes from the charming town of Warrenton. * 3 finished levels with plenty of room for your family and guests. * Boasting over 4000 finished square feet. 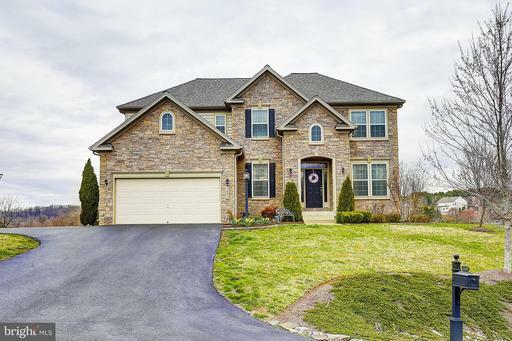 * This home is an entertainers dream with an open floor plan, hardwood floors, a two-story family room w/fireplace, and a three-season room that allows for great flow on the main level. * Walk outside and enjoy the beautiful deck and hardscape patio that compliments the gorgeous, in ground pool surrounded by a privacy fence. * Main level master suite with lots of closet space and an updated master bathroom provides a peaceful retreat. * 4BR, 2BA on the second floor, one with a full size en suite bathroom that could be considered a second master bedroom. * Tons of finished space in the basement with excellent storage options. * Many updates throughout entire home. * A large, 3-car garage leads into a beautiful mudroom/laundry room for great inside access to the main level. * Two, large storage sheds provides plenty of outside storage. * 2-zone, duel fuel HVAC system only 3 years old. * Pool pump replaced 2 years ago. * No HOA. * Welcome home! 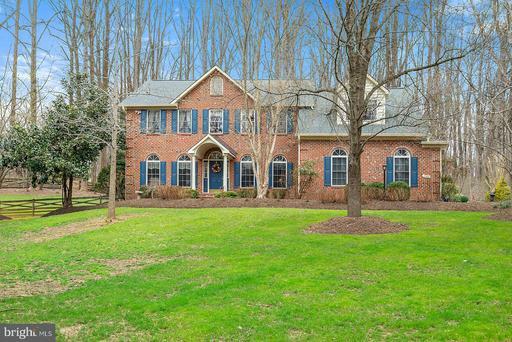 Impeccably maintained estate home on private 1.4 acres welcomes you with a stately brick front and custom hardscaping. Main level appointments include gleaming hardwood floors, chair/crown moldings, custom built-ins, iron balusters and multiple skylights. The gourmet kitchen is a chef~s dream with granite, an over-sized island, stainless steel, wine fridge and opens to a sun filled two-story great room with fireplace. 5 generous bedrooms on upper level include a luxurious master suite on its own wing for privacy. Finished walkout basement features expansive rec rooms, full bath and plenty of storage/options for more living space. Screened in deck is a highlight and overlooks a peaceful wooded area. Transferable TruGreen lawn service contract for ease of maintenance. Ideal location in quiet neighborhood close to groceries, restaurants parks. YOU WILL NOT WANT TO MISS THIS! 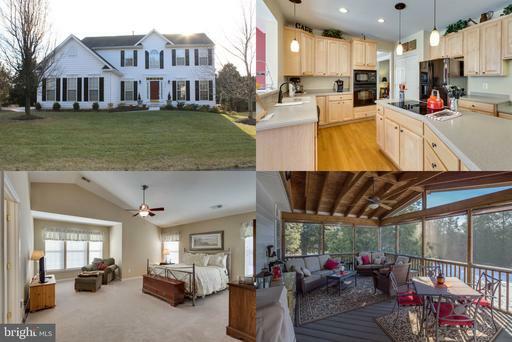 OPEN APRIL 6TH AND 7TH, This is a stunning, move-in-ready home with an open floor plan. The kitchen has a large tiered island, gas cook top and upgraded cabinets. The morning room is filled with natural light. The lower level comes with a wet bar, fridge, wine cooler, dishwasher, wall-mounted TV, built-in surround system and full bath. The Trex deck is tiered to showcase the beautiful landscaping and heated in-ground pool. Many other updates; new HVAC, paint, carpet, etc. 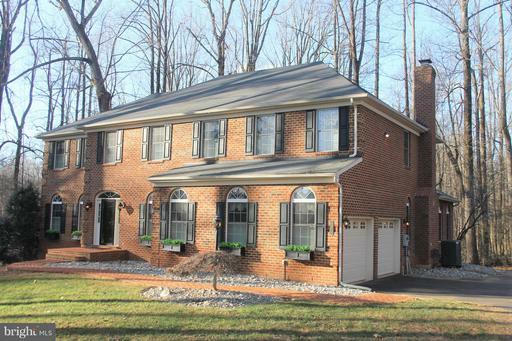 Located in SOUGHT AFTER The Woods at Warrenton. BETTER THAN NEW! Immaculate home in popular Jamisons Farm. Perched on a hill with distant views from the front porch. 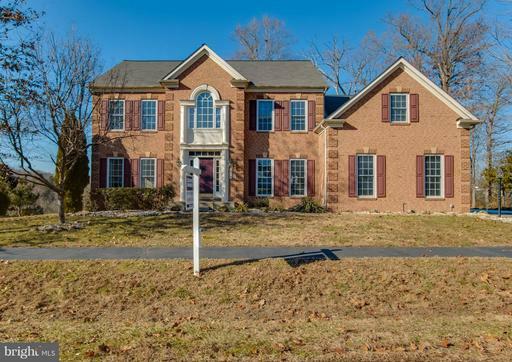 4 bedrooms, 4 1/2 baths, formal dining room, study, family room with fireplace, large breakfast area and updated country kitchen, master suite with sitting room and spacious bath with shower and garden tub, mostly finished basement with large recreation room, pool table, exercise room, bonus room with closet. Verify square footage. Alternative septic system. Welcome home! This beautifully appointed home offers a main floor master bedroom plus luxurious master bath. Antique white cabinets, stainless steel appliances, island and pendant lights await you in the kitchen which is open to the great room and sun room. Your view also includes the treed backyard. Main level also boasts two more bedrooms, full bath, library and dining room. You will find a private retreat on the upper level featuring a bedroom and full bath. Lower level ready for entertaining with the wet bar and family room. Other features are exercise room, full bath, large storage room, hobby room and double wide walk up. Spacious deck with lighting on the rails and under the deck! 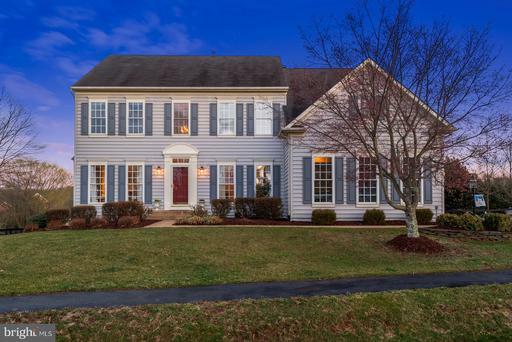 Gorgeous colonial on a quiet cul de sac in sought after Snow Hill. Owners pride shows! Walk through the front door and feel like you are home, Gorgeous kitchen with granite counters, stainless appliances, island with seating, dining area and flows into family room with wood burning fireplace. Formal dining and living room plus study with built in shelving on main level. Recently remodeled kitchen and master bath gives the home that extra wow factor! 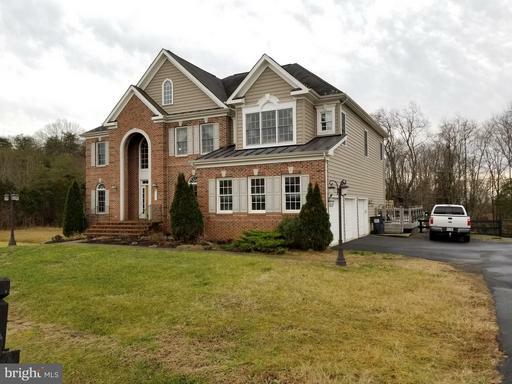 Huge master suite with sitting room, master bath with soaking tub and tiled shower ,3 additional bedrooms and 2 full baths, Basement is perfect for storage and workshop. Private screened room off back that leads to deck for entertaining and grilling. Wonderful patio and fenced backyard for the kids or dogs. Over sized garage for additional storage. This is a beautiful home! 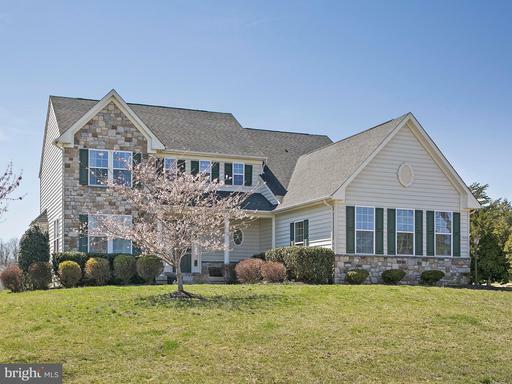 Absolutely spectacular expanded 5BR, 4.5BA colonial right out of House Beautiful! 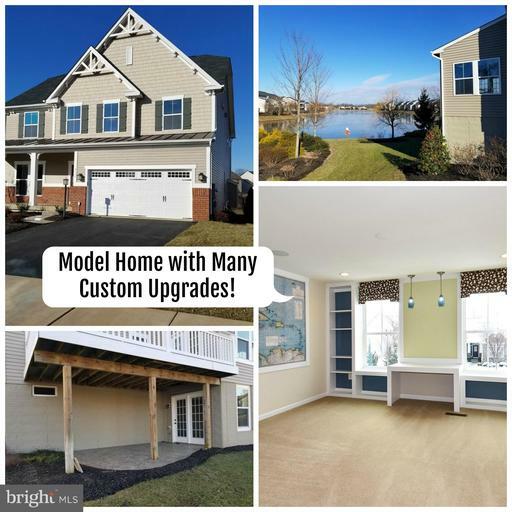 Sellers loaded this gorgeous NV Potomac model with options galore, including several "bump-outs" and an oversized side-loading 2 car garage! Hardwood floors throughout main level! Huge kitchen w/ island and upgraded stnless steel appliances!Granite counters! Light filled morning rm w/ walls of windows! Expanded family rm w/ stacked stone gas FP off kitchen!Elegant spacious formal living dining rooms! Mn lvl library!Fabulous master bdrm with gas FP and huge sitting room! Luxury en suite bath! 3 addl large bdrms-- 1 has a private en suite bath 2 share a large Jack Jill bath. Fantastic expanded lower level rec rm with wet bar kitchenette! 5th BR bath extra wide area way exit! Loads of storage! 3/4 acre lot on cul-de-sac! Amazing neighborhood amenities! Truly an elegant home terrific community!! LIVE LARGE IN BROOKSIDE! 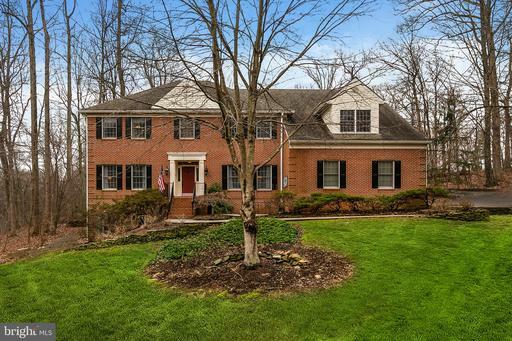 This stunning five-bedroom, 4.5-bath brick colonial on a quiet cul-de-sac is over 4,800 square feet of luxury! Beautiful hardwood floors welcome you inside. The open floor plan features a living room flooded with natural light to the left, and a lovely formal dining room to the right. Both rooms are highlighted by high ceilings with crown molding. An amazing kitchen awaits beyond, with dark hardwood cabinets, granite counters, updated lighting, stainless-steel appliances, dual wall oven, breakfast nook, and large central island. The adjacent family room has a new shiplap wall and windows looking out on the updated deck and screened-in gazebo. The renovated downstairs area is perfect for entertaining, with custom-build dry bar; new floors; built-in cabinets, bookshelves, and guest seating. A classic red-felt pool table and 70-inch, wall-mounted TV both convey. The basement also features an en-suite and large storage area. Upstairs, the master bedroom suite boasts warm hardwood floors, new barn-door window coverings, exposed brick accents, built-in shelving, and electric fireplace. The dedicated bathroom includes his-and-her vanities, soaking tub, and separate walk-in shower. Three more comfortable bedrooms provide plenty of living space, two of which have dedicated bathrooms of their own. A water softener/filtration system serves the whole house. The home is in the much-desired Brookside community, which includes two pools, two clubhouses, seven separate lakes, walking trails, and tennis and basketball courts. 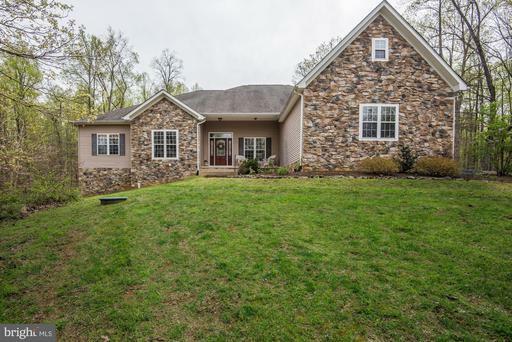 MODERN ELEGANCE w/BRICK front ALL levels finished on .70-acre PRIVATE lot backing/siding to COMMON GROUND in Sought-After Woods at Warrenton! GOURMET Kitchen w/GRANITE, GIGANTIC island, AMPLE 42" cabs tile backsplash opens to SUNLIT Breakfast Rm w/SERENE VIEWS! 2-STORY Family Rm w/SOARING vaulted ceiling cozy gas FP! Gleaming HDWD flooring stairs! NEW carpet! FRESH neutral paint! 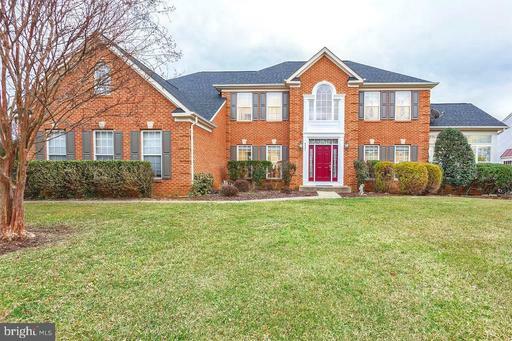 Master BR Retreat w/NEW upgraded flooring, HUGE W/I LUXURY Master BA! BR 2 w/NEW upgraded flooring EN SUITE Full BA! BRs 3 4 boast shared Full BA! Spacious 5th BR/Bonus Rm! AMAZING Fin LL w/BAR, Rec Room, Game Room plenty of space for storage! Tons of updates: HWH, lighting, flooring, paint, washer/dryer, dishwasher/microwave/refrigerator more! PRIVATE custom paver patio--perfect for entertaining! Minutes to shopping, schools, medical facilities, commuter arteries, Historic Downtown Warrenton more! Gorgeous Custom Built Rambler by Golden Rule with Upper Level Bonus Room - 8.66 Acres - NO HOA -Four Bedrooms - 2.5 Baths - Master Bath with Luxury En-Suite and Jetted Tub - Large Living Space - Formal Dining Room - Huge Kitchen with Quartz Counters - Natural Cherry Cabinets - Stainless Appliances and Butcher Block Center Island - Sitting Room - Two Gas Fireplaces - New HVAC 2018 - New AC - 2013 - 2x6 construction - Roof is 50 year shingles - It is GORGEOUS and a MUST SEE!! Lovely home on a beautiful landscaped lot. Very pleasing decor with plantation shutters through out.Open kitchen is great for entertaining. Bathrooms totally renovated and home freshly painted. Lower level has a fun game room. Great 3 level colonial on almost 3/4 level acres with wonderful island kitchen with granite counters GE Profile stainless steel appliances; light-filled sunroom/breakfast room off the kitchen and spacious family room with gas fireplace; formal living room and dining room with hardwoods; generously sized bedrooms on the upper level with the owners suite boasting 2 walk-in closets and attached luxury master bath; lower level includes media room, rec room, bonus room and full bath! Home is freshly painted and boasts new plush carpeting on the main and upper levels; re-finished hardwood floors and loads of storage space. Attached side-load 3 car garage too! Community features include lakes, multiple pools, tennis and basketball courts, trails and so much more! *CONTINGENT ON BUYERS SELLING THEIR HOME. STILL ACCEPTING OFFERS! *Welcome Home! This immaculate home has been updated and shows amazing. Located in the sought after neighborhood of Snow Hill Subdivision. Kitchen features upgraded Viking Stainless Steel Appliances. Lower level has apartment and or entertainment space offering lot with full walkout/patio* Off kitchen is a screened porch/decking*main level office along with a full main level bath* Culdesac! Location provides easy access to Rt.29 and is convenient to Warrenton or Gainesville. WOW! See the high def video tour of the home right now! 3 years young stunning home in Raymond Farm. 4391 FINISHED SQUARE FEET! The largest model available in Raymond Farm. The best lot in the neighborhood with a BIG walk down deck facing the woods. 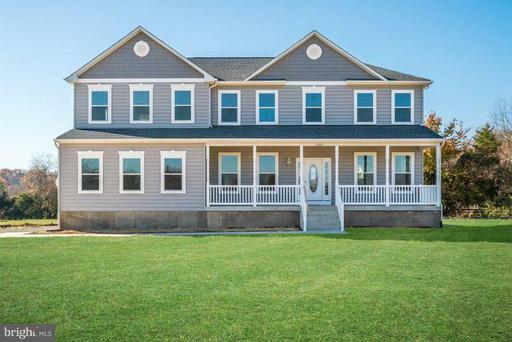 Home was sold for $588k in 2016 when it was built. The home features all of the best options available and top level upgrade gourmet kitchen with upgraded cabinets, granite and huge center island. The stunning hardwoods flow through the open main level. The entry features a center staircase, office on the main level along with a stone encased fireplace in the living room. Custom upgraded light fixtures throughout. Each of the 5 bedrooms has a full bath attached to it. The expansive master suite has 2 giant walk in closets and a huge sitting area. The mast bath features upgraded vanities and separate tub and shower. The enormous finished basement has over 1100 square feet of space, a full bath and HUGE bedroom. The basement is a walk out to the spectacular view into the wooded area. Like new w/ upgrades galore on premium lot backing to woods community trail! 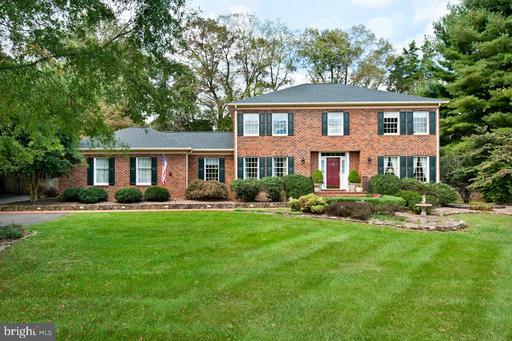 4BR/4.5BA in Brookside! Gleaming hardwood floors throughout main level! Gourmet granite eat-in kitchen w/ island gas cooking open to family room w/ stone front gas fireplace! Formal dining room! Office on main! Master suite w/ walkin closets, separate vanities, soaking corner tub walkin shower! Ensuite secondary bedroom! Additional Jackn Jill bathroom upstairs! Finished walkup basement w/ theatre room, rec room, potential 5th BR full BA! Screened in rear porch! Call today for your private showing! 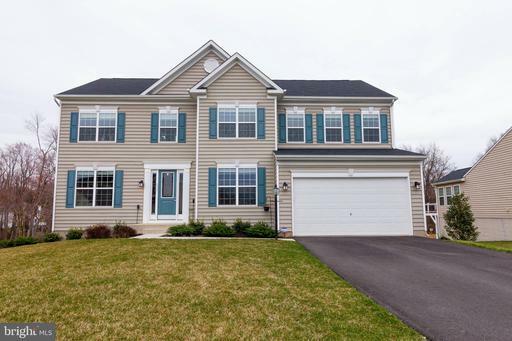 COME VIEW this beautiful 5 bd home with lots of light and an open floor plan. It is perfect for entertaining and has space for holiday gatherings. The kitchen has plenty of counter space, cabinets and a large walk-in pantry closet. The laundry room also acts as the mud room with a built-in and cubby for coats.The sunroom/morning room comes with windows and a door leading to the deck. You can enjoy the views as well as the outdoors. The Lower Level is like a small house with a bar, large living area, fireplace, full bath and bedroom. The house sits on .65 acres that is fenced-in. Great for adding a pool. 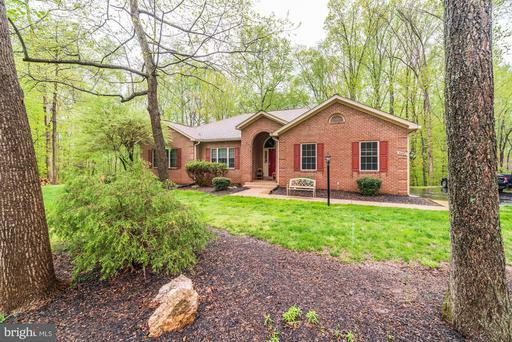 In the sought after Woods at Warrenton! IMMACULATE 4 Bedroom, 4.5 Bathroom, 2-CAR garage, home with 3 finished levels totaling over 4,000sf, backing to TREES = PRIVACY. MODERN finishes include: EXPANSIVE GOURMET kitchen w/ beautiful GRANITE countertops, LARGE center island, hand-scraped HARDWOOD floors throughout, UPSCALE lighting, WALK-IN closets, and a bonus media room/play area on the 2nd level. Indulge in the OPEN CONCEPT family-room and a beautiful sunroom to enjoy your morning coffee and casual dinners. Tons of natural light in every room! ENTERTAIN you guests on your EXPANSIVE deck and FENCED yard, backing to trees = COMPLETE PRIVACY. No detail missed on this meticulously maintained home! Enjoy the outdoors and being one with nature? Enjoy miles of walking trails and exclusive Club amenities? If yes, then Lakes at Brookside is for you! This is a close-knit community located in the Gainesville area. Here you will find a community where neighbors know each other and children can grow up together. Enjoy miles of walking trails all around the community - and take in the scenery! Spend the hot summer days at 1 of 2 pools, perfectly situated in the heart of the community. Also, enjoy 2 clubhouses, tennis basketball courts, a gym, tot lots and playgrounds, and so much more. Do some catch release fishing or just hang out on the dock at 4 spring-fed lakes. Plenty of nearby area attractions to include Winery and Old Busthead Brewery, Wegmans grocery store, and a tons of restaurants in either downtown Warrenton or Virgina Gateway Target, Starbucks, Uncle Julios, Bar Louie, Firebirds, an RPX movie theatre, and more in Gainesville. Discover the space for your furry friend at the brand new DOG PARK in Vint Hill. Come check out the community living that the Lakes of Brookside affords...you may never want to leave! 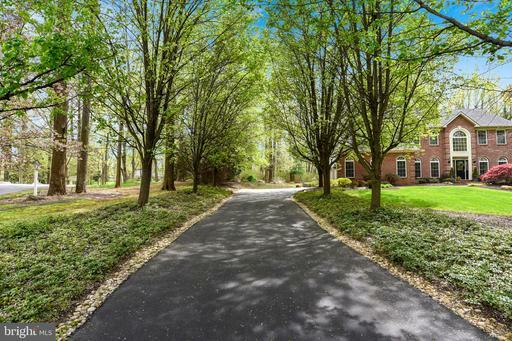 Amenity rich BROOKSIDE, ACRE+ lot on cul de sac, adjoins to open space. Light filled NV Potomac model, w 6 BRs. 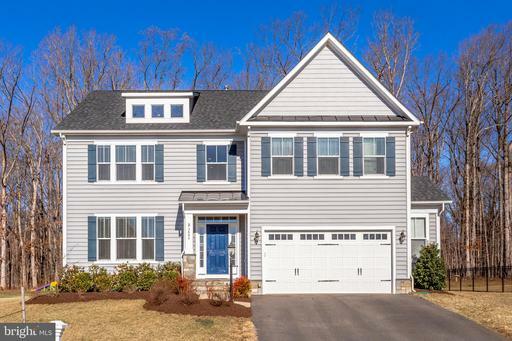 Gourmet kitchen, spacious family room w gas fireplace, study, 2nd level w 5 BRs and 2nd laundry, master w coffered ceiling, five piece bath w jacuzzi. 3rd level suite w full bath. New roof, newer HVAC, fresh carpet and paint, well kept landscaping. Excellent schools. 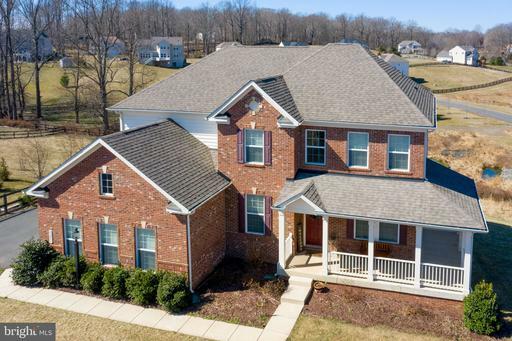 This Immaculate 3-story 4,308 sq ft single family home is conveniently located on the D.C. side of Warrenton in the picturesque community of Jamisons Farm. With quick access to 66, a private and nearly one-acre quiet lot, and local conveniences, this home leaves little to be desired. 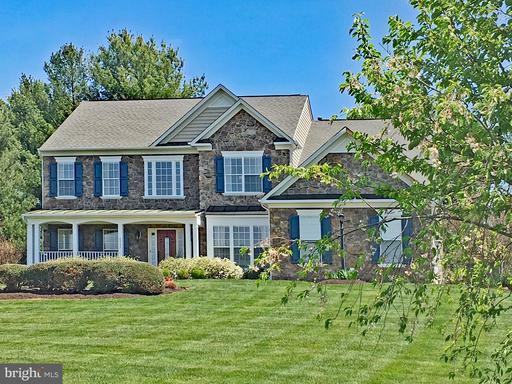 The home boasts 5 bedrooms, 3.5 bathrooms with an incredible fully finished walkout basement. The large windows and two-story stone fireplace beautifully accents the heart of the homes grand living room. Spacious kitchen, butlers pantry, formal dining room and a walkout trex deck off the kitchen offers a comfortable and useable flow that is remarkable for entertaining. Full-size basement offers a rec and workout room, custom built-ins, a full bathroom and a large bedroom perfect for guests! *New Roof *New Washer *Wood Floors *Granite Counters *Walking/jogging trails and Lake Privileges and muh more! *This home is a must see! BEST VALUE IN JAMISONS FARM! Enjoy privacy and breathtaking panoramic views in this beautiful home straight out of a magazine cover! Sited on a nearly once acre cul-de-sac lot, this immaculate home boasts over 4000 square of fine living space with numerous upgrades including 5" engineered hardwood floors on entire main floor, dream kitchen with upgraded cabinetry stainless steel appliances and an elegant modern floor plan. Incredible owners suite with private sitting room coffee bar, large secondary bedrooms, finished walk out lower level with large recreation room with a wet bar plumbing rough-in, a 5th bedroom full bath. Inviting wrap around front porch two tier decks to enjoy every season...Ideally located to all major commuter roads and within easy access to great shops and restaurants!